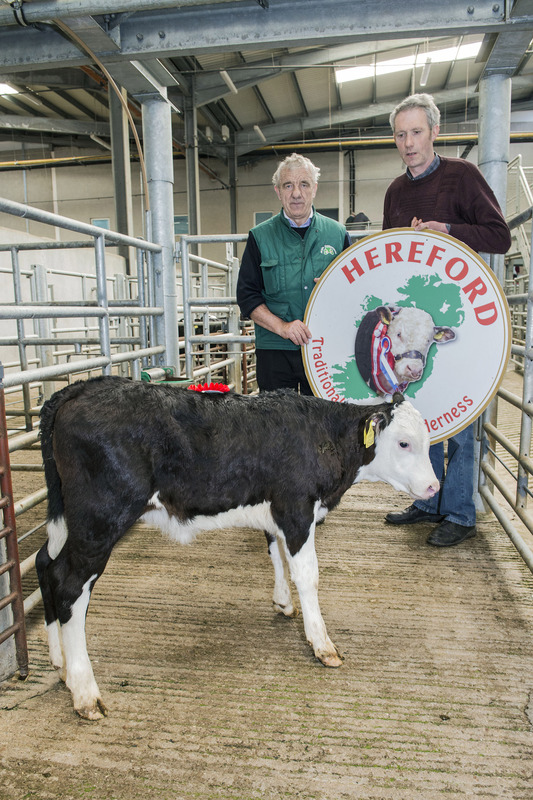 Irish Hereford Breed Society Calf Promotion, Corrin Mart, Fermoy. Bull Calf sold by Nickie Flavin, Barnageehy, Youghal, Co. Cork €305. Heifer Calf sold by Cors Cronin, Ballinadough, Carrig Na Phear €215. 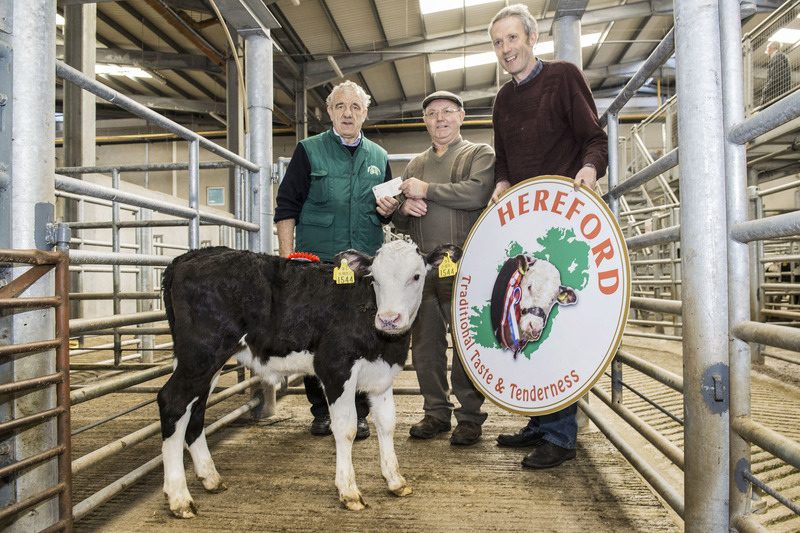 champion heifer owned by Corneilus Cronin, Carrignavar which sold for €215 with Pat McCarthy, Hereford Council Member & Ted O’Sullivan, Bartlemy, Hereford Breeder. 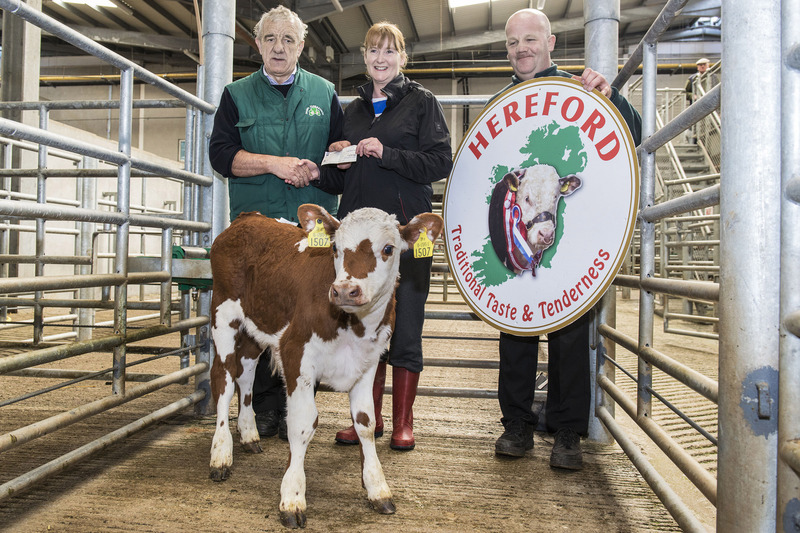 champion heifer which sold for €215 with Pat McCarthy, Hereford Council Member, Oliver Manley representing owner Corneilus Cronin, Carrignavar & Ted O’Sullivan, Bartlemy, Hereford Breeder. champion bull which sold for €305 with Pat McCarthy, Hereford Council Member, owner Elaine Flavin, Barnageehy, Youghal & Michael Morrisson, Killeagh, Hereford Breeder.